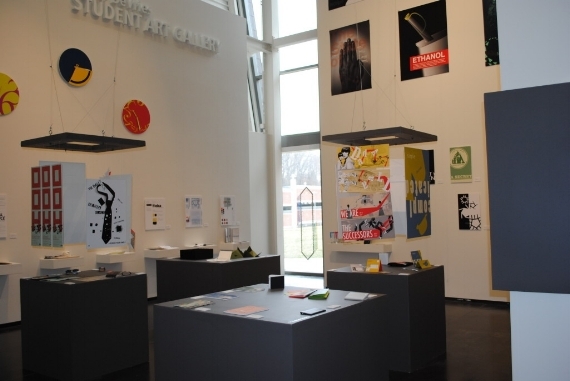 Invitation and environment for FUNCTION: a BFA Graphic Design Exhibition at Western Michigan University. Invitation offset printed with metallic ink. Design of environment included conceptualizing the space, building all tables, shelves, hangings, and signage, and organization of surveys of work from other BFA candidates. Group collaboration. 2011.